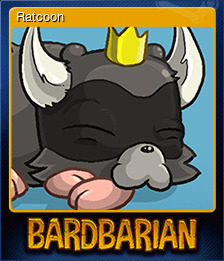 Bardbarian | Steam | Opium Pulses - Cheap Prices, Great Service. Thanks to Young Horses, Slick Ent Inc, and Team Meat for allowing us to do these amazing crossover exclusives for our Steam launch. 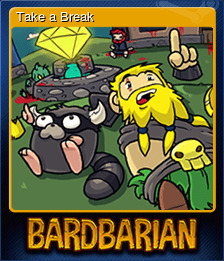 Bardbarian is a game! A game we've been lovingly working on for far too long and are ready to unleash on Steam with (hopefully) some love from the Greenlight Community. 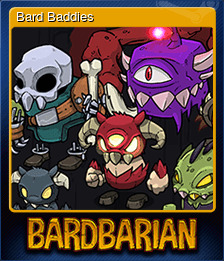 It is a mixture of Tower Defense, RPG & RTS with some 'Shmup and Snake elements. 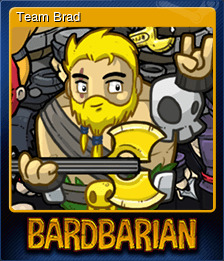 You play as Brad the barbarian, who is awoken to the sounds of his town under siege. Today is different though; Brad has grown tired of fighting all the time. The usual grind for XP has grown dull, and he has decided to pursue his dreams of making music instead of shedding blood. Fashioning a lute out of an old axe, he steps out to save his town in the most bizarre of ways. 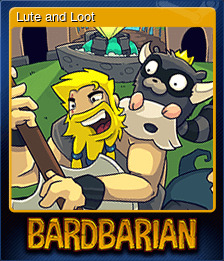 Move Brad around the battlefield and dodge incoming enemy attacks and projectiles. 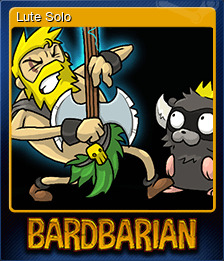 Brad is constantly playing his axe-lute and generating notes, standing still will cause him to "jam" and generate notes even faster. These notes act as your in-game resource; you can spend them to perform solos to summon units to follow and fight for you, as well as solos to boost their performance. Navigate your party through the hordes of enemies, dodging and attacking, preventing them from destroying your town's prized decorative crystal. Survive waves to progress, collect loot, and unlock new units. Upon death you are able to visit the town shop in order to upgrade Brad, the town and your followers, in hopes to make it further next time. Easter eggs and references galore, can you spot them all? You look lonely, have you considered a pet to keep you company? Play and submit your best time for Survival Mode. Upgrade a unit to MAX level. Reach 3000m in Escape mode, and he's yours. Appears randomly in Survival mode. May luck be with you. Last for 3 minutes in survival mode. 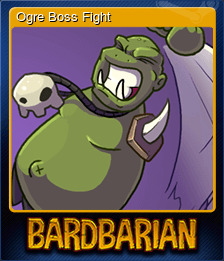 Waltz into Wave 10 and rescue him from that Fire Golem. Send 2500 enemies to their grave. Loot 100,000 gold from the corpses of your fallen enemies. Something's cooking on the title screen. Start a new game in Insane Mode. Complete the entire campaign from start to finish without dying. Unlock the mythical 4th party slot. Fact: There are 1609 meters in a mile. Do all the things! 100% Completion. Post a score in the Day 2 Insane Mode leaderboard. The most exclusive of all leaderboards.